Burst pipes can cause significant damage to your home or business that could take months to clean up and repair. The cooler autumn weather has arrived and brings the promise of even colder winter weather to come. BEST Plumbing and Drainage Contractors can diagnose and fix a problem with your sewer lines faster, with less damage to landscaping and lawns, while removing the guess work. Obviously, there is never a good time to discover the sewer lines to your home or business are backed up. Summer is finally here in London and so is the warm weather. Why wait until its cold and miserable outside to diagnose that wet basement or plumbing problem? Before you have a septic system problem causing a wet basement (yuck) or bad odours, learn the four most common septic system problems to look for to avoid costly repairs. As you look around your house, do you know where the runoff from your house and the surrounding area goes? It is super important to take note of how water from rain and melting snow will drain around and away from your house in order to ensure it does not end up in your basement. This is the time of year we get a lot of calls from homeowners needing help with a wet basement. Discovering water or a leak in your basement is always an unpleasant surprise. Spring thaw and rain might be a welcome relief from winter, but your wet basement might not be. When you walk into the basement and discover water questions flood your mind. Spring is here! The water levels are high across Middlesex, Huron and Perth counties this season. If your basement is going to get wet, spring is the most likely season to see it happen. 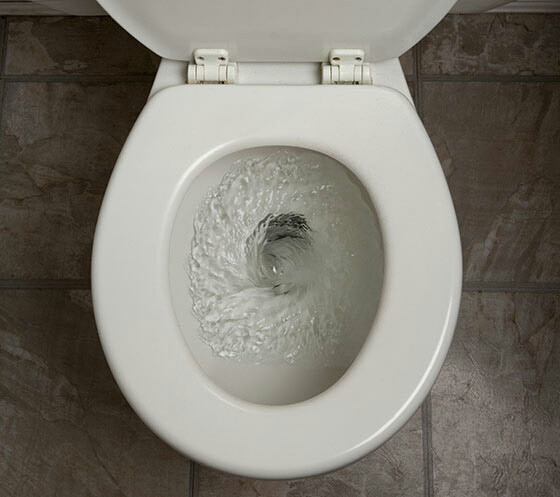 It's easy to believe your toilet is the catch all for any sort of waste you want to dispose of, but there are actually quite a few things that your toilet should never swallow. As one of the top London Ontario plumbing services, we see all kinds of messes that could be easily prevented. When Should a London Ontario Plumber Come to the Rescue? Aside from offering a few very funny videos of cats, the Internet is the world's greatest tool for the do-it-yourselfer. From drywall installation tips to gardening advice, there is no end of support for most of the homeowner tasks we all face, large or small. Have you ever come home to the wonderful surprise of a sewage backup in your home? Or perhaps you’ve stumbled upon a really wet and smelly spot in your yard? While out and about during last week's latest cold snap, someone was overheard saying, "My, what a lovely winter we're having this spring." It's true, compared to the summer-like temperatures we experienced during March 2012, this spring has seemed slow to arrive. Efflorescence is a wonderful-sounding word that unfortunately refers to a basement issue that can be a real nuisance. Literally meaning "to flower out" in French, efflorescence is the crusty, white discolouration that can form on the inside or outside of a basement constructed of concrete or masonry brick. Sweating Pipes or Sweating Plumbers? If you have an unfinished basement, you may have noticed occasional drips of moisture from your copper piping at some point. Hopefully, this is not something that you noticed because of damp, brownish patches that developed on the outside of your ceiling drywall or drop tiles. 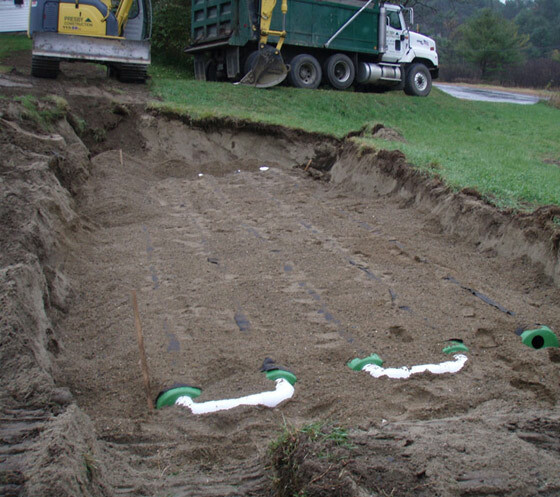 Yard Drainage and the Spring Thaw – Are You Ready? Spring is coming and it's time to make sure your London yard drainage is ready for action. With the topsy-turvy weather that has defined this winter, it's important to be prepared for anything. Winters can really wreak havoc on your plumbing. With freezing temperatures putting a strain on the pipes and pressure on your tank, you may be experiencing some unfortunate drips and knocks that didn't exist last fall. You’re likely familiar with catch basins, even if you don’t know what they are. You probably drive over or walk over one every day. Catch basins, otherwise known as storm drains or storm water drains, are located on roads or parking lots. Trying to diagnose toilet problems can feel like a much less glamorous episode of House. Never fear. We have the solution to five common toilet maladies. Why is My Basement Wet, Even in Winter? Tired of walking down the basement steps into a pool of water? Stop dealing with wet basement repair expenses, and get started on your London basement waterproofing. But first you need to figure out the reason for those frustrating leaks. The more you protect your sewer system, the less money you'll need to spend on London sewer cleaning. Protecting your sewer can be done in a variety of simple ways by everyone in your family. It's easy enough to rush off on vacation and forget about the little details that need to be taken care of before travelling. However, unless you want to leave one ocean just to come home to another, you'll want to prepare your plumbing before you travel. Winter's coming and it's time to prepare! With the frosty air and freezing temperatures, it's important to winterize your house so you don't end up spending thousands of dollars repairing your plumbing. If your sewer drain is clogged, don't wait to take action! A sewer drain clog is a very serious plumbing emergency that requires the attention of our London Ontario sewer flushing experts. It’s ugly, it smells funny and it ruins your food and your basement too: mold. Whether it’s the fuzzy substance slowly taking over last week’s leftovers, or the ominous black spots on your basement wall, mold needs to be dealt with as soon as it appears. Is Toilet Paper Creating Problems For Your Plumbing? Ideally, bathroom breaks are a flush-and-go event. However, when the water in the toilet bowl begins to rise, panic can set in. And while toilet paper is a luxury of modern society, you can’t help but wonder if excess toilet paper could be causing you more problems than convenience. Plumbing – it's one of those things that most people don’t give much thought until something goes wrong. And then, it’s all you can think about. So instead of turning a blind eye to potential plumbing problems, take a proactive approach. While this summer has been a scorcher, believe it or not, lawns can suffer from too much water. Too much water in your yard doesn’t bode well for your grass or your lawn drainage system. Plumbing projects can appear more frequently than you might think. What's more, they're often more complicated than first anticipated. Unfortunately, most people don’t give their plumbing a second thought until there is a problem. Should You Buy A Home With A Wet Basement? If your home is not on a municipal sewer, then whenever you flush your toilet or pour something down the drain, it goes into a septic system. From there, it will exit the septic tank and enter a drain field, where it then passes into the soil. The summer is an excellent time to do some simple plumbing upkeep, whether it's a DIY project or with the assistance of a London plumbing services. Cold weather and snow cover can often deter investigations for things such as tree roots or cracked pipes. 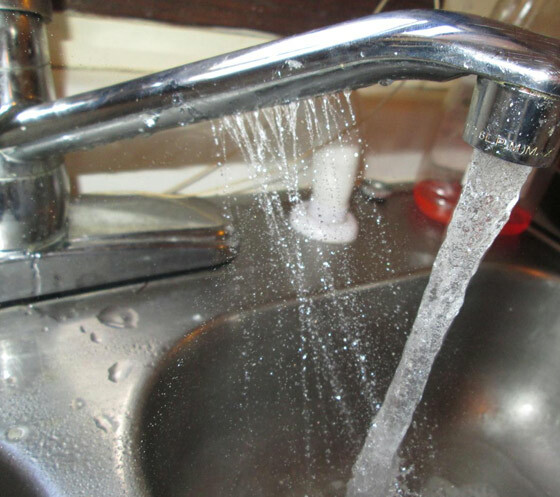 A leaky faucet may seem like a minor annoyance, but those drips can add up! In fact, studies have shown that a leaky faucet can waste nearly 90 litres of water in a week! That minor problem won't seem so small once you take a look at your inflated water bill. “Storm water management” may seem like a big phrase, but the concept is actually quite simple: managing rainfall and surface water runoff in order to reduce the possibility of flooding and property damage. But what is storm water? Often thought of as the main drain in a home, the horizontal drain line connects the house to the outdoor portion of the sewer line and then eventually to the municipal sewer system or a septic system. Do You Know What to Do When a Pipe Bursts? A burst pipe is more than just a minor London Ontario plumbing problem. Burst pipes can cause serious damage to your home and should be treated as an emergency that requires immediate assistance from your plumbing service. While water is necessary for a beautiful spring lawn, too much of a good thing can lead to trouble. If you have water accumulating in different parts of your lawn, you could be looking at the aftermath of a serious London Ontario yard drainage problem. When it rains it pours… sometimes straight into your basement! It isn't uncommon for forecasts of heavy rain to send people running from their basements and into the home improvement stores in order to stock up on sump pumps and beef up their London Ontario basement waterproofing system. You already know that those delicious, high-fat, home cooked meals are bad for your arteries - but did you also know that fat, lard and grease is also bad for your drainage system? Especially within our northern climate, when winter comes, the temperatures can drop quickly. This can wreak havoc on your plumbing system, as there are many issues that can arise from freezing temperatures. After the excesses of the holiday season, many people resolve to live a more moderate lifestyle come January 1st. If you're determined to cut your spending and save money this year, now's the time to focus on drainage maintenance. Go to any home improvement store during a period of heavy rain and watch sump pumps fly off the shelves. Some people neglect their basement waterproofing systems until it’s too late and they find themselves – literally – up the creek! As soon as the cold weather hits, our London Ontario based plumbing service gets flooded with calls to fix routine winter related plumbing problems. However, there are things you can do to avoid having to call a plumber and it could save you some money. The good news for some people is that they may go their entire time in a location and will never have issues with their septic system, other than having to do general maintenance. Unfortunately, this is usually a rare occurrence. At some point in your life, we all need to locate a good quality plumbing service. It’s important to have a reputable and reliable London Ontario plumbing service to rectify any plumbing issues you may have. It’s a prayer frequently uttered at the beginning of winter: “Please, don’t let the snow and the rain get into my basement.” Just because it’s raining outside, doesn’t mean it has to be wet in your basement. And water really shouldn’t end up there. Septic drain field problems are the worst kind. Usually other types of plumbing issues can be fixed with minimal headaches. At least, those headaches will seem minimal compared to this one: if your septic drain field is clogged, you need to replace the entire thing. It has been said that the real troubles in life are things that never cross your mind and tend to blindside you. This is no truer than it is for pipeline damages. Suddenly your drains start to run slow or worse yet, you come home to find the sinks, toilets, or showers backing up. It’s the dreaded “gulping” sound emanating from your drains. It’s your sink unkindly “returning” the items you’ve rinsed down it. It’s everything you’ve flushed down the toilet coming back to haunt you. Water Line Issues: Should I Repair or Replace Damaged Equipment? Imagine coming home from a lovely vacation…only to find water pouring into your house via the walls. It can all seem very overwhelming at first, so how do you decide whether to repair the broken pipe or replace the entire system? Septic tanks are an effective, long-standing method for the collection, treatment, and disposal of sewage from homes in rural or suburban areas. Unfortunately, not everyone knows how to properly maintain this important system. Thousands of homeowners suffer from lower water pressure, simply because they don't know what the cause is. If you can't take a shower and water your lawn at the same time, now's the time to improve your water pressure and contact the professional plumbing contractors at BEST. Is Your Yard Designed for Proper Drainage? Are puddles becoming a persistent problem on your property? If your lawn is soggy days after a moderate rainfall, chances are good you're suffering from a lawn drainage issue. Improper drainage is a big problem for both home and commercial property owners. Whether you end your day with a soothing bath or start your morning with a hot shower, nothing is more relaxing or invigorating than a cascade of warm water. But the luxury of warm water comes at a cost – both financially and environmentally. Sump pumps remove water that has accumulated in a water collecting sump pit in the basement and are essential in areas or situations where basement flooding happens regularly. Unfortunately basement flooding is a common occurrence in Ontario. The good news is that many types of basement flooding can be avoided. There are many negative consequences associated with basement flooding. Nothing puts a damper on a home owners spirits (no pun intended) than coming home to a wet basement, especially if the lower level of your home is a livable, finished space. Any kind of moisture in a basement can ruin carpeting, damage drywall, and even saturate your framework. Cleaning up your basement after an unexpected flood can be a heartbreaking experience. Whether you're cleaning up after a burst pipe, or bailing out after a torrential storm, there are a number of ways to make the clean up process faster, easier, and more efficient. An improperly maintained septic system can be an absolutely nightmare to fix. From the smell to the cost, a faulty septic system is tough to stomach. Luckily, many of the most common septic tank issues can be prevented. Pipeline video inspection is a form of telepresence used to visually inspect the interior of internal and external pipelines. Video pipeline analysis is a form of non-destructive testing and is an extremely efficient inspection tool.